I am very happy to officially announce that third Monster March challenge has just begun! It is my great pleasure to host the challenge for all the participants again. There are a few participants that did great in previous years and are back for more! I greatly appreciate that and I am very happy know you liked the challenge to do it again. New participants joined this year and I would like to welcome them too! Thank you for joining us and I am sure you will enjoy the experience. It is never too late to join Monster March. You may jump in at any time, just let me know and I will add you to the next update blog post. 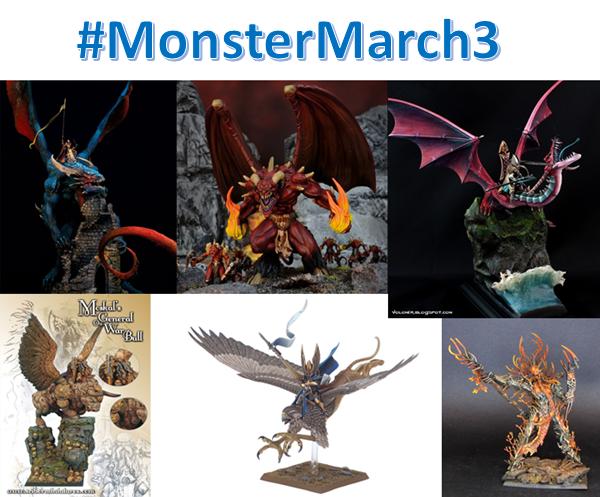 Let's see who is participating this year and what models are going to be painted in Monster March 3! Azazel has a very ambitious plan to paint not one but up to four entries! That's the way to go! 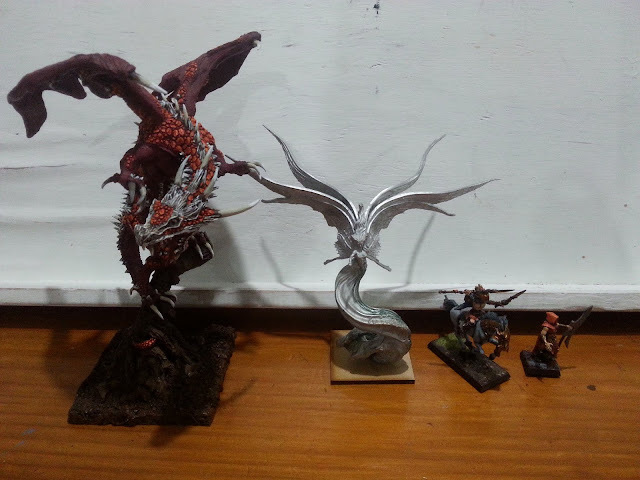 The models are: Giant, Undead Giant, Giant Warm, Dracoliche. Blazmo chose a different kind of a monster for the painting challenge. 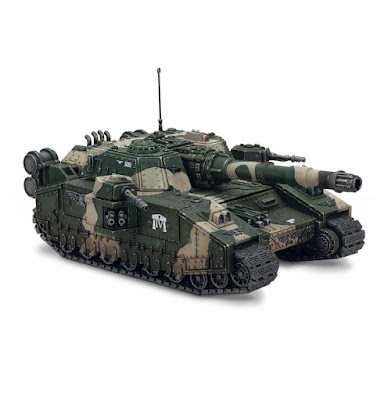 Shadowsword Super Heavy Tank! This is really huge model and you should see it in real life. 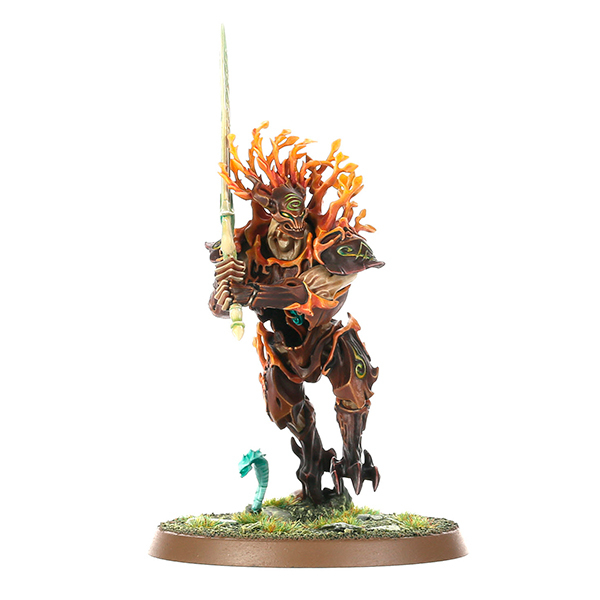 Caldaris too decided to take the challenge to the next level and pledged a few models for it. These are: Kingdom death monster Dragon King, Adeptus Titanicus Warlord Titan, Mhara gal corrupted dreadnough, Macrocarid explorator, Armiger Warglaives. Chris has ever growing Undead army for Kings of War. He has recently added some Bone Dragon to the collection. 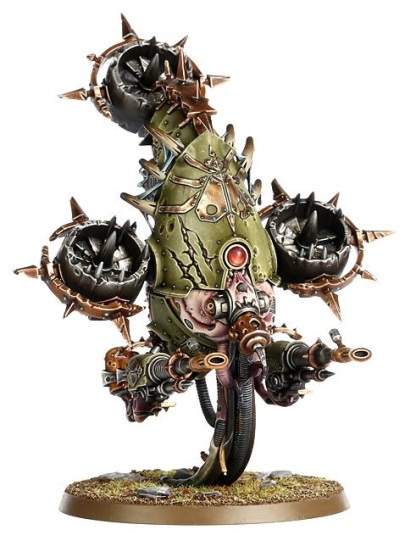 His models are usually old school metal miniatures from 80's and it is always great to see what kind of unique model he can add this time. We shall see what kind of monster is going to be summoned soon! 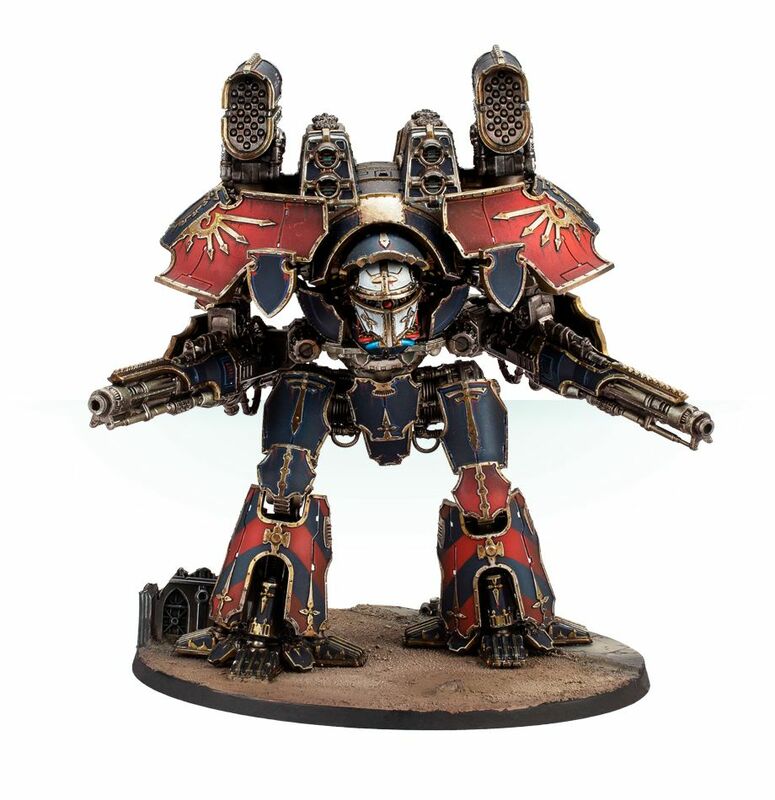 DAM's pledge is a great model for Adeptus Titanicus game. I am very tempted to try this game myself so I am happy to see the model for it to be pledged for Monster March 3. DAM plans to paint it in Legio Tempestus heraldry. This year Ed returns with Tyranid Hierophant Bio-Titan, a definition of a monster if you need one! The model looks great and I am looking forward to observing the progress in the upcoming weeks! I am very happy to see some models for Kings of War! 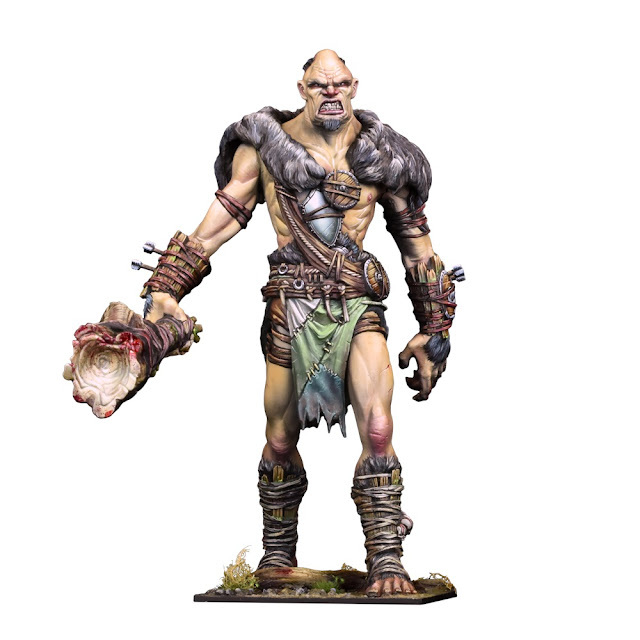 Mantic has recently released a stunning model for their Giant and Matt is going to paint it for this challenge! Nick joined the challenge with a beautiful model of Siliriah Spirit of the Woods. As you can see on the picture, it is smaller than a dragon but it is a perfectly fitting choice for Monster March 3. I am sure it will be pleasure to paint! Siliriah Spirit of the Woods - second from the left - size comparison. Patrick contributes with the model for his Kings of War army as well. He is going to paint a Zombie Dragon and he will use it as a mount for a Legendary Champion of Death, Apaphys! Vince is going to paint a model for his Kings of War army too! Fantastic! It is going to be a Vampire Lord on Dragon. 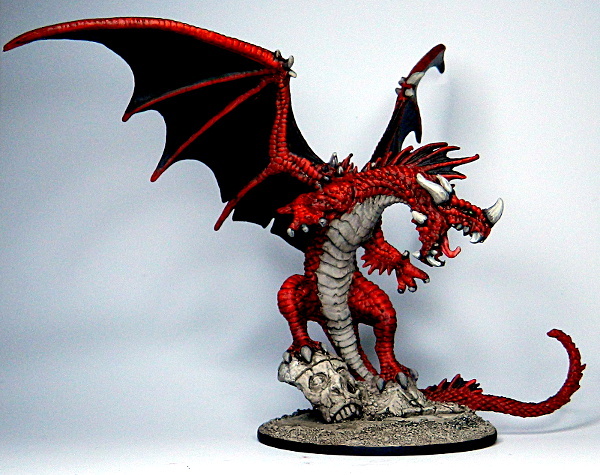 Dragon worthy of a Vampire Lord! Vince was also very kind to announce the challenge on Dakka Dakka forum. If you happen to post there, please share your progress or links to blog posts there too! My pledge this year will be two regiments of Forest Shamblers and two Forest Wardens for my Kings of War army. For that purpose I will be assembling and painting six models of Kurnoth Hunters. One of the participants asked about some tips for taking pictures. I am sure everyone of you has something to share so please let me know what do you find useful when taking the photos of your models. For quick snapshots I use desk lamp as a main source of light, mainly because I usually paint in the evenings and I can take work-in-progress photos then. I make sure that the model is on the uniform background. My desk is light grey in color so that often serves the purpose. However, a piece of clean paper sheet would do as well. Then I direct the desk lamp towards the model but not directly from the top but at an angle from the front. In fact, the lamp is relatively close to the model to provide enough illumination. I don't use special settings on the camera (I often use smart phone anyway). However, I use the highest resolution setting and then crop and resize the photo in any picture editor (MS Paint is one of the easiest choices for that step). Occasionally I may brighten up the photo in the editor but that is it. For more advanced and better quality photographs you may need to have a light box and a proper camera on tripod. But this is the way of taking photos of the models I need to experiment myself a bit more. 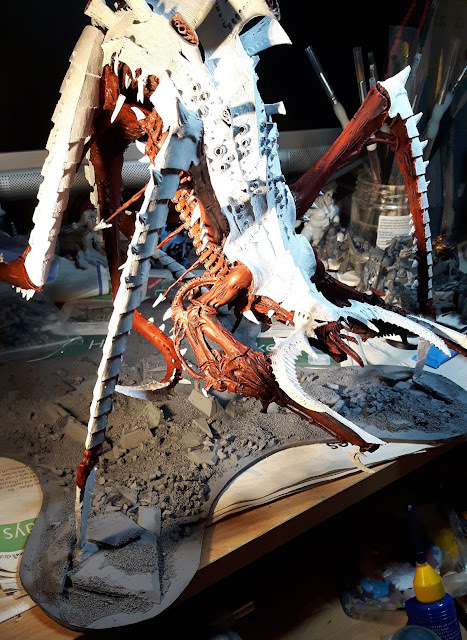 I am sure it will be worthy spending time on but perhaps when I finish the models and for taking photos of completed projects, rather than work-in-progress. Thanks again for joining the challenge! Please remember it is never too late and you can join at any stage! I am sure we will have some great looking models by the end of the month. Thanks for linking the post to the blog! It is very helpful in reaching out to more people who may be interested. Very much appreciated! Thanks for the update, Vince! Well done! I will definitely use the post for the next update over the weekend! So many nice miniatures to be painted, I'm glad I'm in again, thanks to keep MM alive! Thanks for supporting the challenge again too! It is a pleasure to host it and I also cannot wait to see the results already! Great stuff, Ed! Thanks for the link to the update!